Make your back to Munich before your Eurail pass expires and enjoy one last beer and wurst before you catch your flight back home! Train in Poland, very comfortable and even had wifi on board. The best way to do train travel in Eastern Europe, I say. Walking from our front door to the train station in our little town of Weiden, Germany, we weren’t really sure what was in store for us. Sure, we’ve both been on trains before. Even long distance overnight trains. 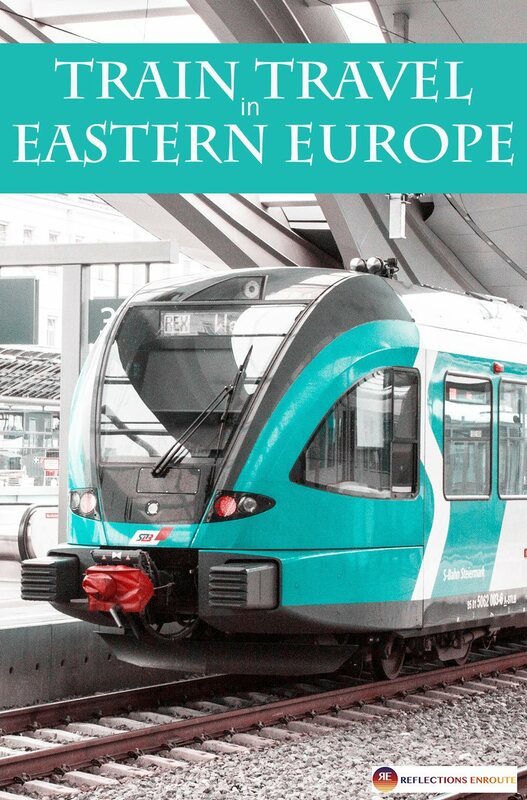 Would the trains of eastern Europe be clean, comfortable, and fast like those in the west? Or crowded, slow, hot and grimy, like those crossing the subcontinent of India? More likely, we thought, somewhere in between. We’ve taken the overnight trains from Ankara to Istanbul and Izmir while we were living in Turkey, and that is more what we had pictured. All of these thoughts and more were bubbling around in our heads and for the first time in a long time the prospect of going through the motions of travel, the getting from point a to point b, was something of a mystery. What a great start! One of the many train stations we pulled into and through in our epic train journey around Eastern Europe. Some were much more bright and cheery than others. Weiden is a small town with a two platform station. A few intercity trains go through and even fewer actually stop, so from there we had to take an hour long commuter ride to Regensburg. This short sleek new train was fast and comfortable. We were actually cold while outside it was the beginning of one of the most blisteringly hot heat waves in Europe’s recent history. We must have been showing our eagerness and excitement all over our faces; we looked so happy to be on our way that the ticket agent asked us within ten minutes if we wanted her to take our photo. We did! 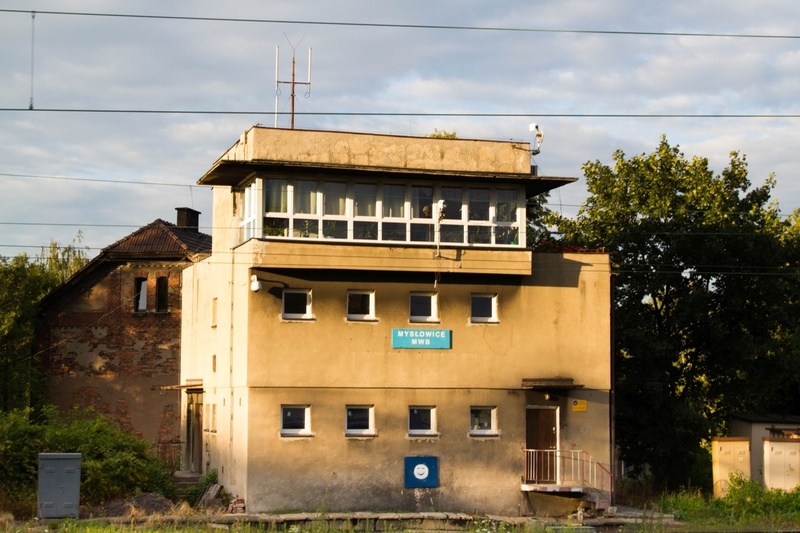 Train travel in Eastern Europe afforded us many views of old Soviet train stations. Some had living quarters. Aside from this short interaction, train travel at the beginning of our trip was impersonal and sterile. We seemed to be traveling in our own bubble much like during air travel. As we traveled east and then south that bubble expanded and grew to include more passengers in nearby seats. Somewhere outside of Skopje that bubble burst completely and we were part of a larger community now; all traveling, talking, commiserating, and sweating together in one car packed full of passengers. Leaving Belgrade and traveling back west and then north we could feel that bubble contracting back towards us and enclosing us in the safe but less than stimulating travel cocoon of western Europe. It seems the more modern and fast the trains traveled the more we were isolated from our fellow travelers. One of the many border stations we stopped and waited for the customs officials to stamp our passports. We added a bunch of new countries since our train travel in Eastern Europe covered many places we’d not previously visited. It fueled our wanderlust for further exploration. 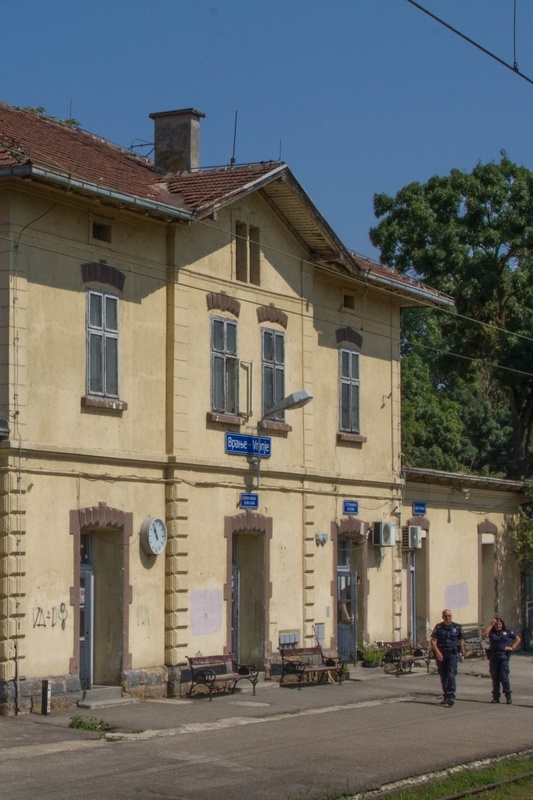 Perhaps the best example of train traveling working as a catalyst for creating community happened to us on the route between Romania and Bulgaria. 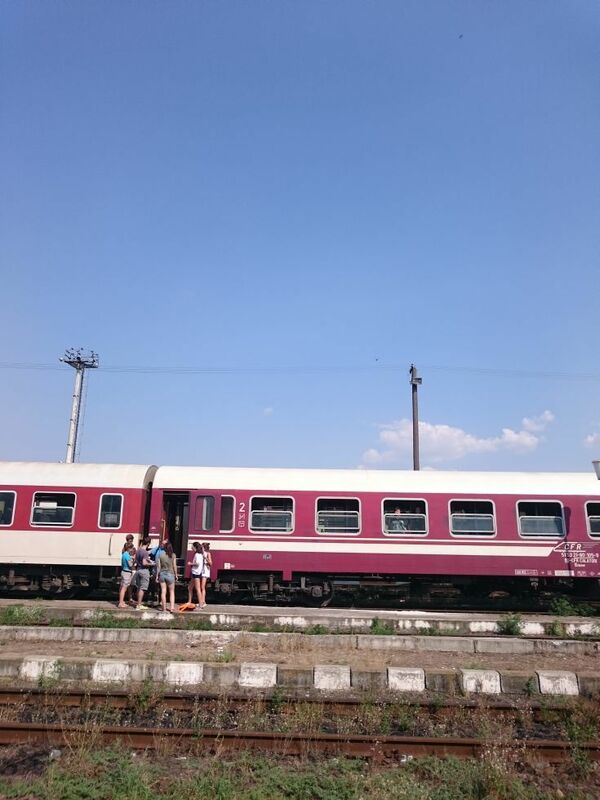 The train connecting Bucharest to Sofia seems to have been put in place with the sole purpose of transporting backpackers and other tourist type rail pass passengers from one major hub to another. The train consisted of an engine and two cars and none of the passengers we encountered on that trip were from Romania or Bulgaria, everyone of us a traveler, all backpackers in spirit despite the actual luggage being carried. That train started out as any other in the East. No air conditioning, windows open, passengers sitting quietly in their cars, some sleeping, others reading, small groups in conversation. The usual banter back and forth: “where have you been on this trip?”, “where are you going?”… exchanges of hostel information or hidden treasures found along the way. All of that ended, however, at the border. Our train arrived at the border crossing on time and we all sat patiently as the border patrol came on and checked passports. After they left and we continued to sit in the hot sun, people began to get restless, walking up and down the aisles, exchanging theories on the delay–the bubble was expanding. After half an hour someone realized we were waiting for the train coming from Sofia, the two engines would be detached and then reattached to the other train’s cars and then pull them back into the engines’ countries of origin. The tourists and the passenger cars could cross borders, but not the engines or their drivers. Waiting in the hot Bulgarian sun for another (late) train to arrive. It turned into a real party on the rails. After an hour with no sign of the Bulgarian train, passengers began climbing out of the cars. We descended upon that poor somnolent station building like a swarm of lotuses looking for food. Literally. We were looking for food and drink. No one had been prepared for the delay and water (and alcohol) rations had run dry in the 100 degree heat. A foraging explorer from New Zealand found a small kiosk operating out of a ramshackle hut on the edge of the tracks selling water, snacks, ice cream and beer. Soon, the entire contents of both cars had spilled out onto the one cement platform and an impromptu party broke out. There were toasts to be made, songs to be sung, food to be shared, arguments to be won, friends to be made, breakups, hookups, tears, laughter and–finally–cheers!–as the long overdue train chugged up the tracks towards our motley crew. Back aboard the train there was a new sense of camaraderie and for a few, at least, the party continued on down the tracks. This one train ride encapsulated the entire adventurous, and might I say, nostalgic experience. Everything I’d ever read, every story I’d been told or movie I’d seen about a train trip was found in that one leg of our journey. To be sure, parts of that experience were repeated throughout our adventure but never was it all to be found again on one single train ride. 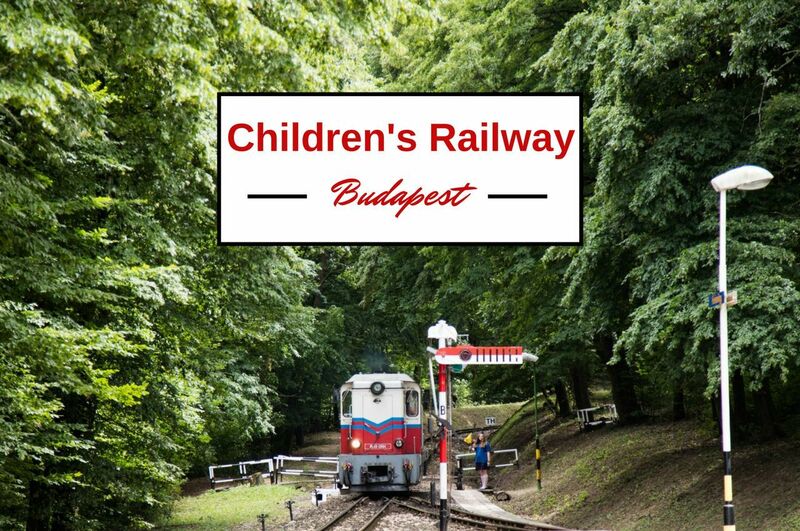 Pin Eastern Europe Train Travel so you can start planning your own train adventure. 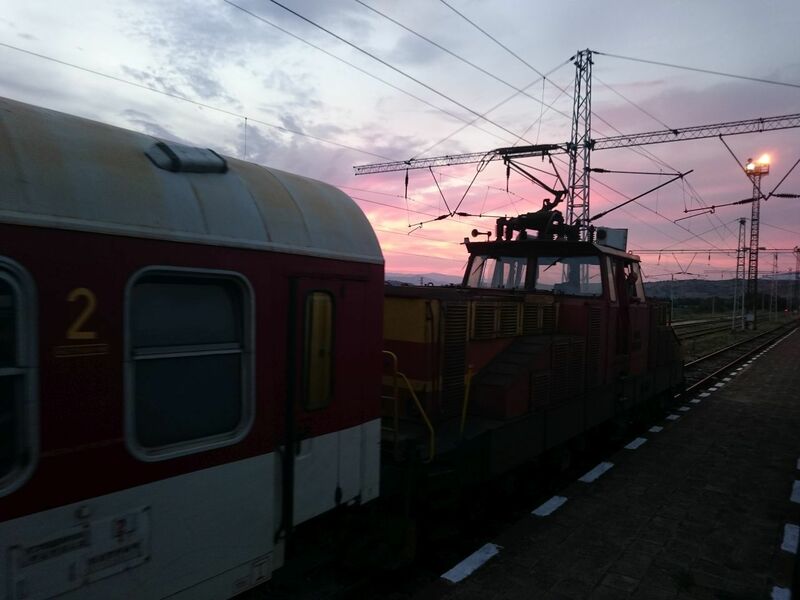 Beautiful sunsets were just one of the bonuses of train travel in Eastern Europe.So, aside from the adventure and the sense of mystery and facing the unknown, why travel by Eurail? The internet is overflowing with blog posts and articles about how to travel cheaper by rail. But if you read those posts you’ll quickly discover that while it may be true that we could have done our entire journey for less than the cost of the pass , we would have had to known six months prior exactly where and when we wanted to travel. All of the legs of the journey would have needed to be booked and reserved so far in advance that there would have been no mystery, no flexibility, no unknown to face and overcome. We were able to use our passes with a magical sense of power. A magic wand allowing admittance and passage across flowing visions of mountainous landscapes, wind swept plains, and mirror like lakes reflecting the reds and pinks of sunset as we rattled off into the night. At no time did our passes let us down. I’m pretty sure that there was one bus in Austria where the mere flash of our rail pass bewitched the driver and convinced him to let us board and ride for free. 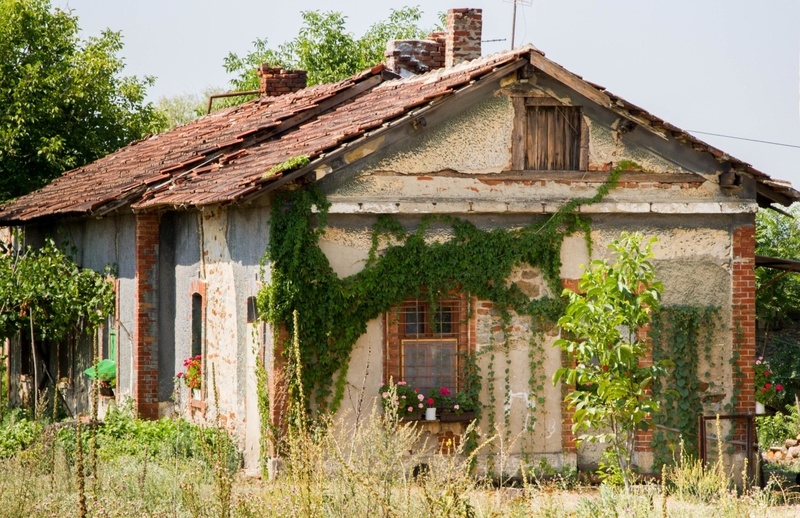 Fantastic views of country homes was yet another benefit to traveling by train in Eastern Europe. No way would we have seen this gorgeous house if we’d flown. Munich is one of the easiest and cheapest airports to fly into. 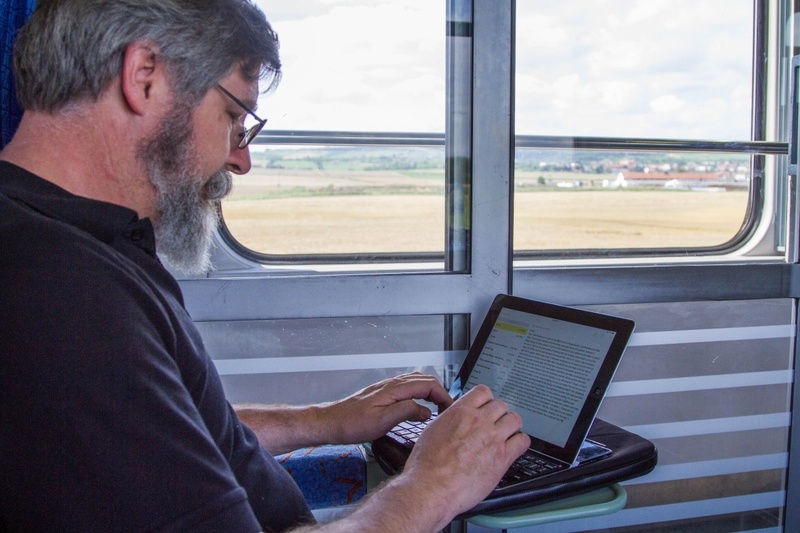 Even the most basic of trains in Eastern Europe were comfortable, provided great views, and some even had wifi so we could get a little work done. What a relaxing and fun way to travel. Our epic train trip through Eastern Europe is partially thanks to Eurail who offered us Global Passes to use as we wished. As usual all thoughts and opinions are solely our own. 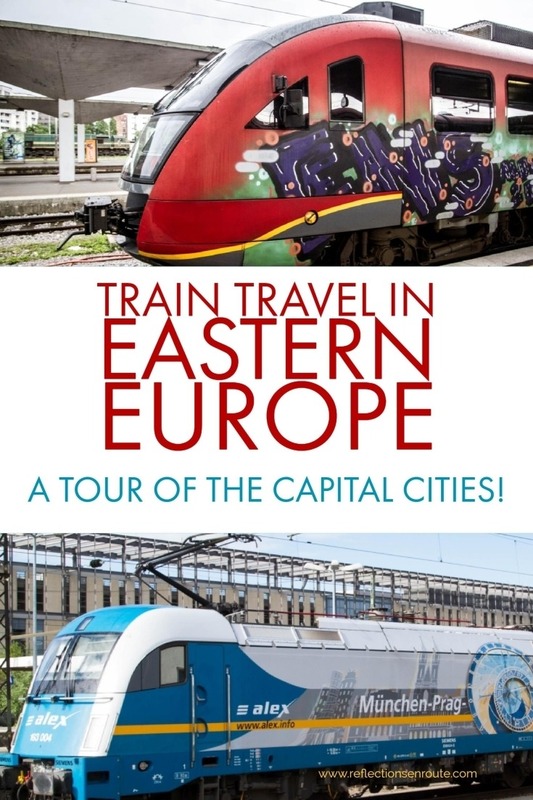 Interested in your own Eurail adventure or rail travel through some amazing Eastern European capitals? 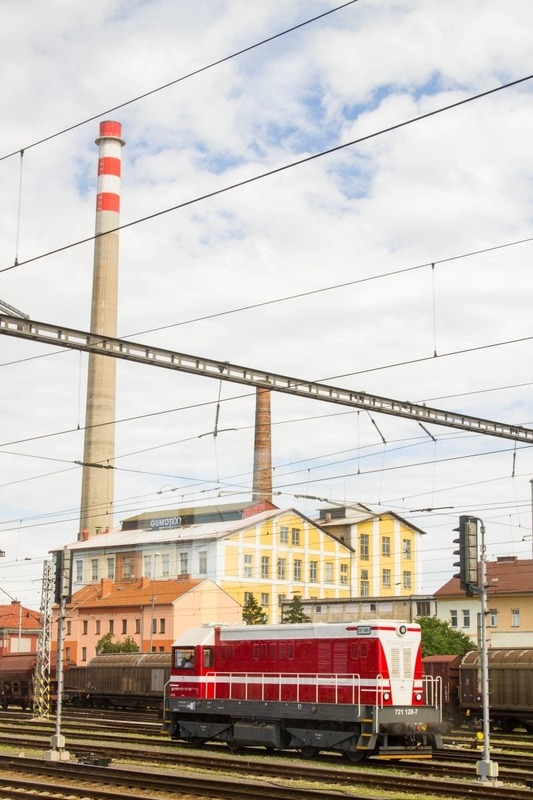 This article is just one in our series recounting our adventures while Riding the Rails in Eastern Europe! 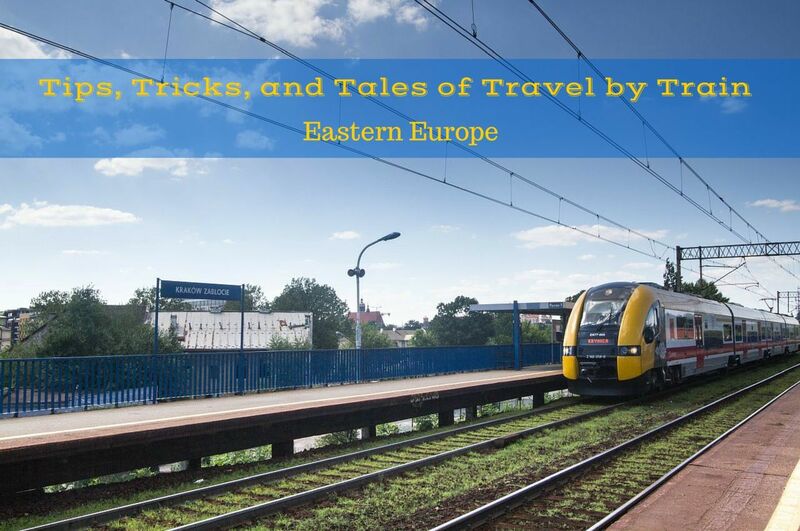 It all started with and stay tuned for our next one where you can learn Tips, Tricks, and Tales of Travel by Train. 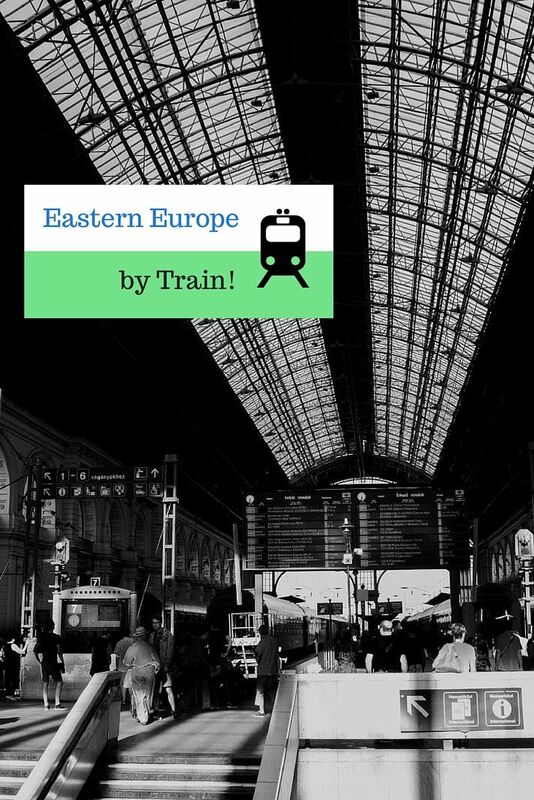 Pin Travel By Train In Eastern Europe for later! Great story, great pictures! Can’t wait to read more. Anabel, We have so much to write about! Our summer was very busy! Interesting experience, Corinne. 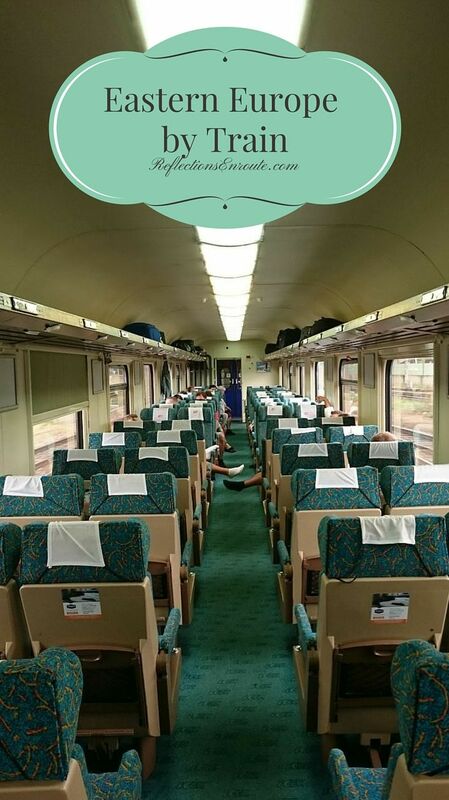 I am surprised than an international train from Romania had no air conditioning. 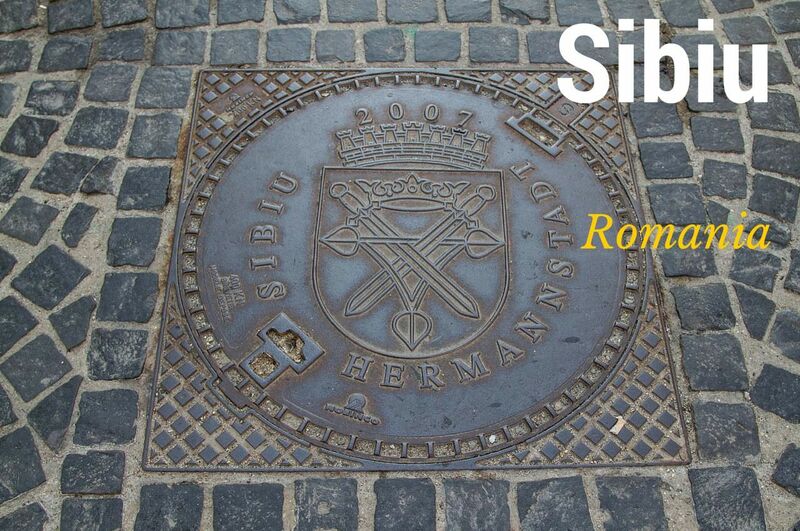 27 years ago when we moved out of Romania they still had steam engine trains, but then 2 years ago when we went back and try to travel by train between two cities I was surprised by the long way they have come. The train was very modern, air conditioned and had all the amenities a modern train should have. 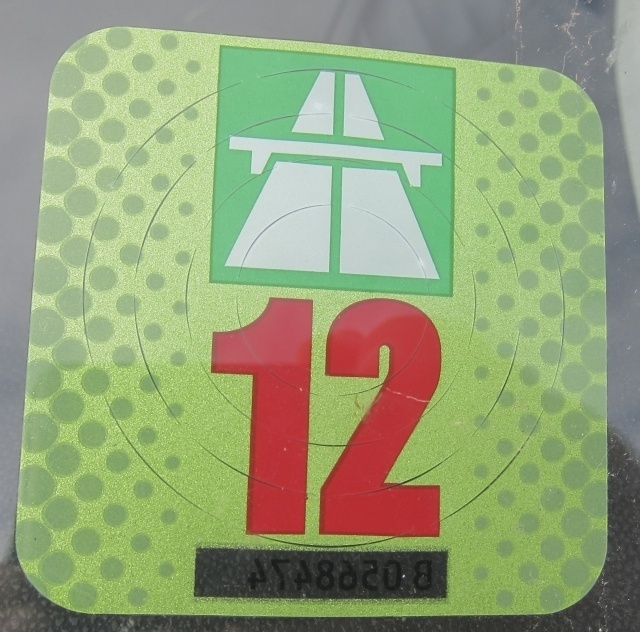 Hi Anda, We had the feeling the cars were some of the older and less maintained cars that were constantly moving between the two countries. It was almost as though neither national train company had taken responsibility for their upkeep. Interesting experience. I noticed it was a resourceful Kiwi that found the water and food 🙂 I am with you on not planning way in advance and being flexible. Rhonda, And that Kiwi made quick friends, let me tell you! Such great storytellers, these two. 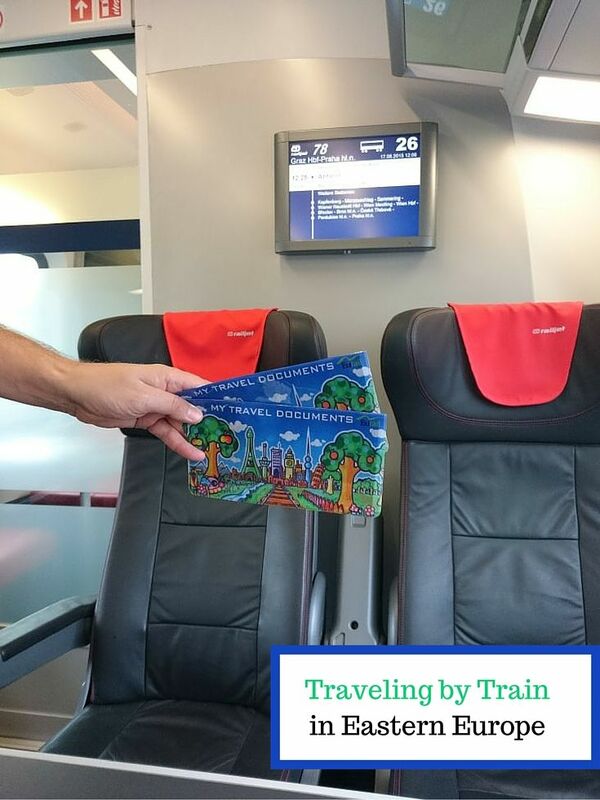 Yes, a Eurail pass is NOT the cheapest or easiest way to get about Europe, but you definitely get some good stories. Rob, That’s right. It’s a right of passage, and a dream for storytellers!